The mission of the Grambling State University (GSU) Leisure Studies Program (LSP)—in alignment with that of the College of Educational, Professional and Graduate Studies along with that of the University—is to promote academic excellence, quality assurance and accreditation of its degree program inclusive of being committed to the preparation of competent, skilled young professionals in the field of Leisure Studies. The vision of the Leisure Studies Program is to be among leaders in the field committed to honoring 21st century educational and industry standards for a global workforce. contribute to improving the quality of life for others. Initially established in 1958, the Leisure Studies Program has prepared students entering the field of leisure studies for over 58 years. The program at Grambling State University (GSU) was the first Historically Black College & University (HBCU) to receive accreditation from the former Council on Accreditation (COA) in October 1986 and has maintained accreditation since that time. COA’s name was changed to the Council on Accreditation for Parks Recreation and Tourism (COAPRT). GSU has maintained accreditation for 30 years. The Council on Accreditation of Parks, Recreation, Tourism and Related Professions (COAPRT) recognizes academic programs in colleges and universities that prepare new professionals to enter the parks, recreation, tourism and related professions. COAPRT Accreditation is a status granted to an academic program that meets or exceeds stated criteria of educational quality. In the United States, accreditation of professional preparation curricula is conferred by non-governmental bodies, which are often closely associated with professional associations in the field. COAPRT accredits baccalaureate degree programs in this profession. Read an overview of the COAPRT Accreditation process. The COAPRT Handbook will also provide additional information on the process of obtaining accreditation. 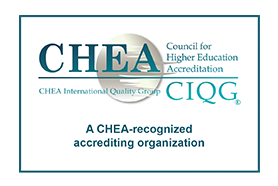 COAPRT is recognized by the Council for Higher Education Association(CHEA). Important Information Regarding Degree Mills Please watch this important video (http://youtu.be/a1voHNMQDrk) regarding degree and accreditation mills. According to CHEA, "Degree mills and accreditation mills mislead and harm. In the United States, degrees and certificates from mills may not be acknowledged by other institutions when students seek to transfer or go to graduate school. Employers may not acknowledge degrees and certificates from degree mills when providing tuition assistance for continuing education. “Accreditation” from an accreditation mill can mislead students and the public about the quality of an institution. In the presence of degree mills and accreditation mills, students may spend a good deal of money and receive neither an education nor a useable credential." Read more on CHEA's website (https://www.chea.org/ciqg-publications).